Here is a famous and beautiful song ("Ya Tayr" - "Oh, Bird", from the movie "Safar Barlik", 1967) performed by one of the Arab world's most beloved singers, the great Fairuz. Fairuz (also spelled Fairouz, Fairooz, Fairoz, Fayruz, Fayrouz, Fayrooz, Fayroz, Feiruz, Feirouz, Feirooz, Feiroz, Feyruz, Feyrouz, Feyrooz, Feyroz, Firuz, Firouz, Firooz) is a Lebanese singer. Born Nouhad Haddad in Jabal al Arz ("Cedar Mountain"), Lebanon, in 1935, Fairuz is known as "Our (Lebanese) Ambassador to the Stars", "The Arabs' Ambassador" and "Neighbour to the Moon". By the age of ten, Nouhad was already well known at her school for her beautiful voice. 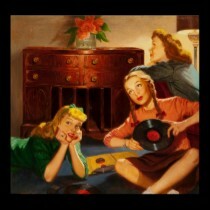 She would regularly sing during school festivals and holidays. This is how she came to the attention of Mohammed Fleifel, a well known Lebanese musician and teacher at the Lebanese Conservatory. He was greatly impressed by her voice and advised her to enroll in the conservatory, which she did. Fleifel taught her how to sing verses from the Quran. And one day, prominent Lebanese musician and head of the music department at the Lebanese Radio Station Halim El Roumi happened to hear Nouhad sing. He was deeply impressed by her voice and noticed that it had a rare flexibility that allowed her to sing both oriental and western modes admirably. At Nouhad's request, El Roumi appointed her as a chorus singer at the radio station in Beirut and composed several songs for her. He chose for her the name "Fairuz", which is the Arabic word for turquoise. A couple of months later, Fairuz was introduced to the Rahbani brothers, Assi and Mansour, who also worked at the radio station as musicians. The chemistry was instant, and soon after, Assi started to compose songs for Fairuz, one of which was 'Itab, which was an immediate smash hit in all of the Arab world, establishing Fairuz as one of the most prominent Arab singers on the Arabic music scene. Assi and Fairuz married in 1955, and Fairuz then converted to the Greek Orthodox Church. The early works of Fairuz and the Rahbanis were innovative mixtures of oriental and foreign modes (especially Southern American music) combining Fairuz's distinct vocal timbre with ingenious music by Assi and poetic lyrics that expressed innocent love and nostalgia for Lebanese village life. Fairuz's first large-scale concert took place in 1957 as part of the International Baalbeck Festival. Musical operettas and sold-out concerts followed for years, establishing Fairuz as the one of the Arab world's most popular singers. Fairuz became the "First Lady of Lebanese singing" during the 1960's. In 1971, Fairuz's fame became international after her major north-american tour and thanks to her voice and quality of music. 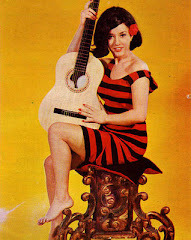 Many consider the 1970's as the most important phase of her carreer, with a maximum of voice power and potential and a high amount of music production by the Rahbani brothers. After the artistic divorce between Fairuz and the Rahbani Brothers in 1979, Fairuz carried on with her son, composer Ziad Rahbani, his friend the lyricist Joseph Harb, and composer Philemon Wehbe. Together, they forged new albums that yielded tremendous success reinforcing Fairuz's image as the constantly evolving number one Arab singer. Joseph Harb gave Fairuz some of his best lyrics/poems while Philemon Wehbe offered her timeless purely oriental music cherished by the masses. Ziad, on the other hand, offered Fairuz very original jazz-tinted songs. She appeared at The International Baalbeck Festival in 1998 after 25 years of absence where she performed the highlights of 3 very successful plays that were presented in the 1960's and 1970's. Another huge success was the massive concert at the Las Vegas MGM Grand Arena (1999) which broke box-office sales records and was attended by over 16 000 Lebanese who flocked to the city from all over the American continent and Europe. Fairuz possesses a large repertoire of around 1500 songs, has sold 100 million records around the world, and has been offered prestigious awards and titles over the years. 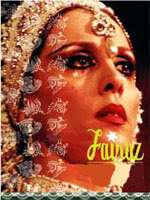 Fairuz has performed once or more in each of many countries around the globe including Syria, Jordan, Iraq, Kuwait, The United Arab Emirates, Qatar, Bahrain, Egypt, Tunisia, Algeria, Morocco, France, The United Kingdom, Switzerland, Canada, The United States of America, Mexico, Brazil, Argentina, Australia, and of course, Lebanon. Fairuz has performed in many internationally famous and prestigious venues such as the Royal Albert Hall in London in 1962, the New York Carnegie Hall in 1971, the London Palladium in 1978, L'Olympia de Paris in 1979, London's Royal Festival Hall in 1986, the Shrine Auditorium in Los Angeles (1971, 1981, and 2003), the John F. Kennedy Center for the Performing Arts in Washington D.C (1981 and 1987), among many others. Numerous musicians, poets, scholars, critics and singers around the world were deeply impressed by the voice and performance of Fairuz.